I was playing with the old Yazoo soundfont I had made, and decided to code the complete song Don't Go (I only did a smallportion of it in the medley midi file with the original soundfont). I add a few new samples and surprisingly the final font is under half a megabyte in size.It contains a few synths, drums and vocals. This is an old soundfont that I've had for ages and never got finished until now. 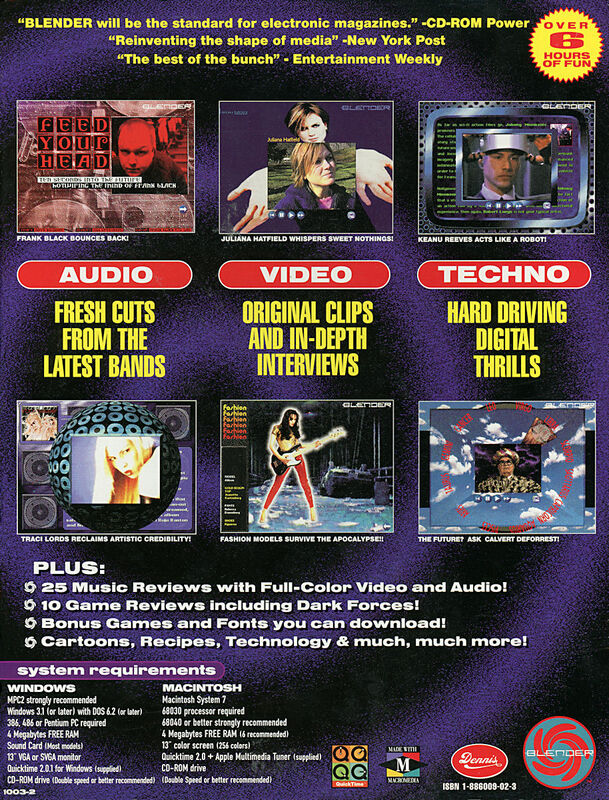 It contains several Art Of Noise samples of guitars, vocals, brass and drums. The soundfont has been updated to remove the ROM samples used in the original organ sound. A new organ instrument has been included. Thanks to Andrew M for pointing this out to me. This font is similar to the 'Eat My Goal' Soundfont in that it uses sampled loops from the track. To keep the file size down the track is an instrument with only one sung phrase.If I was to add the vocals the file size would have doubled at least. At the time of creation this track has been at the top of the UK charts for five weeks, and has been number one in several other countries as well. It's taken a while to create this font, as I've put all the vocals in (like the combined Beats International soundfonts). It contains a bass, synth, drum set and vocals from the 1983 hit single, which reached number 2 in June of that year in the U.K. charts. I was listening to a compilation album of seventies hits, when I heard this track and thought I could do a soundfont. The single was number one for three weeks in February 1972. The font contains a bass guitar, bass synth, synth and stylophone (I actually sampled a real Stylophone, but couldn't get the sound I was after, so I used a saw wave sample instead!). This track by T.I.M. uses samples from Volume One of the Future Music sample CD, namely a vocal sample, bass line, bass synth and synth sound. It's a short piece, and a version can be heard on my History of My Music Creation page. This track features computer vocals from a voice synthesiser, plus some drums and synth sounds. Based on the title track from Kraftwerk's 1975 album,this is an edited version of the original. This was adapted from my original general midi file, with vocals added, along with a drum kit, bass and synth. I'm not 100% happy with one of the synths, but it still sounds OK. This is an updated version of the original soundfont with some extra synth sounds and vocoder lines (recorded by me) in addition to the bass, synths and drums. This track by T.I.M. uses samples from the Future Beat 3D program, and Farscape. I had some Farscape samples to use in a executable version of the quiz that appears on one of the DVDs, and I thought I would add them to the mix. Drums, bass (a rhodes piano! ), synths, samples and a few loops. This is an updated version of my previous CZ101 Synth soundfont. It now contains all the preset sounds, plus several internal cartridge sounds. There are 35 basic instruments, 35 stereo enhanced versions of the same sounds, plus10 tweaked variations. The download size is only slightly larger, but the soundfont itself has grown from 2Mb to nearly 5Mb.